According to an interview with Game Informer, Square Enix is eager to developer original Switch titles if the upcoming Octopath Traveler does well. 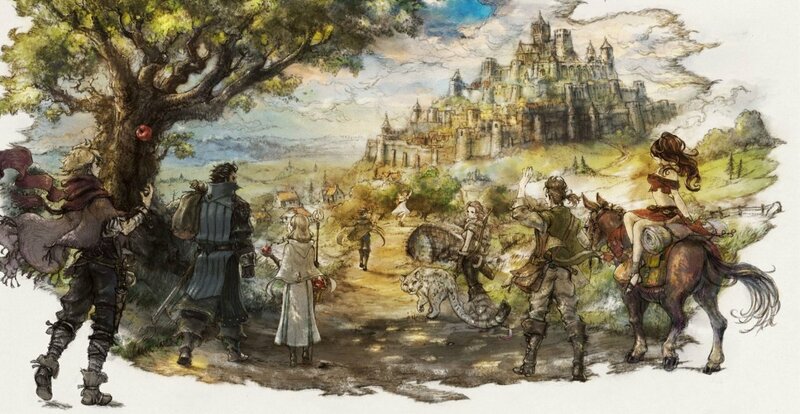 Tomoya Asano, division executive at Square Enix, confirmed this to Game Informer, saying, "If Octopath Traveler does well and this is something that appeals to fans, we want to focus on Switch. Please pick up the Switch if you want to play games like Octopath Traveler." Asano also mentioned, "Square Enix has decided that it wants to focus on original titles for the Switch." According to him, that includes a bunch of games which the company is developing for the platform. To be specific, "There are several other titles that we're currently working on for Switch. If you could just wait a bit longer, we'll work with Nintendo and announce them in the future." While E3 is right around the corner and is ripe for a new announcement from Square Enix, I'm not sure we'll see the successor to Octopath Traveler before that game launches. I would expect to hear information later in the year after sales figures have been calculated and Square Enix is sure that fans want more. In any case, fans of classic JRPGs are bound to find a new home should Octopath Traveler prove successful.